I purchased the bed bug barrier pillow and mattress protectors and also the bed bug killer powder and i highly recommended these products. The protectors are a really soft but breathable fabric, and machine washable. The powder was really easy to apply. I am now happy to say that we have had no bites for over 2 months. 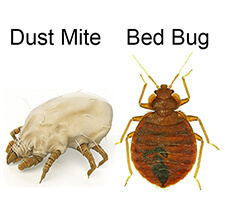 Thank you bed bug barrier!